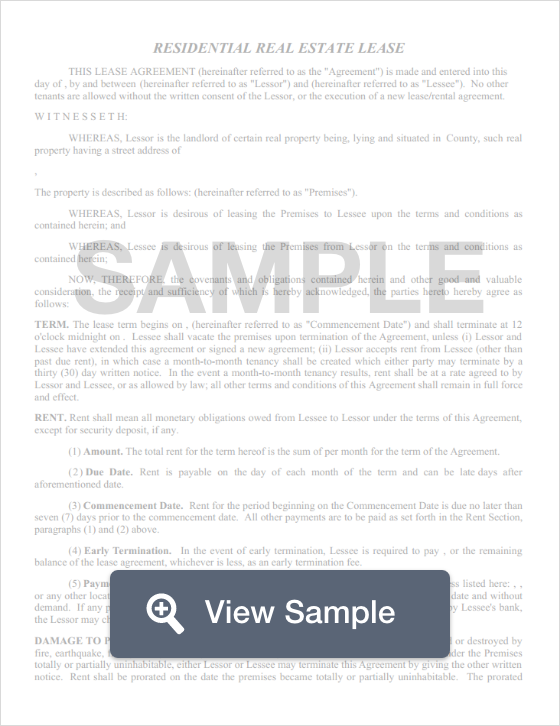 Create a Nevada Lease Agreement with our attorney-drafted template! What Is a Nevada Lease Agreement? A Nevada lease agreement is a contract between a landlord and a tenant. The landlord agrees to let the tenant use the described property. In exchange, the tenant agrees to pay a certain amount of rent each month and promises to follow certain rules related to the property (such as only allowing a certain number of occupants to live with them). The most commonly used Nevada lease agreements are the standard Nevada lease agreement (which generally lasts one year), a month-to-month lease agreement, a roommate agreement, a sublease agreement, a lease with an option to buy the property, and a commercial lease. The date the Nevada lease agreement was created. This should be listed at the start of the lease agreement. Remember, though, that the signatures will also be dated. Identification of the parties. You should list the full legal name of both the landlord and the tenant. Offer to rent. This section lists the street address of the space that’s being leased. It should also include the start date of the lease and the end date of the lease. Rent. Create a paragraph titled "Rent." This should list the total amount that the landlord will receive over the term of the lease as well as the monthly amount that will be paid. You should also outline when the rent is due, where it should be paid, and how it may be paid. Rent proration. If the tenant paid any amount of rent in advance so that they can move in early, make sure that you enter that amount as well as the date the tenant moved in. Deposit. You should create a paragraph that details how much the tenant paid as a security deposit. Utilities and services. Create a section that addresses utilities and services. This should cover which utilities and services the landlord will cover and which ones the tenant will cover. This section should include lawncare or landscaping. Occupants. You should create a section that explains how many occupants may live on the property. Pets. You should explain the amount of money that should be paid as a pet deposit if pets are allowed. You should also explain if there is a maximum number of pets as well as any pet restrictions. Notices. Both the landlord and the tenant must provide an address where they may receive official notices from the other party. Both the landlord and the tenant should sign and date the agreement. Then, copies should be made for both parties. What Disclosures Must Be Made in a Nevada Lease Agreement? There are several disclosures that must be made in a Nevada lease agreement. First, any fees that are non-refundable must be stated as such in the agreement. The landlord must disclose if the property is involved in foreclosure. The landlord must provide a move-in checklist to affirm the condition of the property when the tenant moves in. The landlord must explain how to report a nuisance or violation to the proper authorities. The landlord must explain to the tenant that they have the right to fly the flag on their premises. 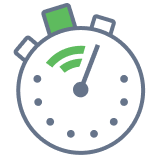 The landlord must provide at least 24 hours’ notice to the tenant before entering the property for a non-emergency. Federal law states that if a residential property was built prior to 1978, the landlord must provide a lead paint disclosure. The landlord may not request more than three months of rent for a security deposit for a Nevada lease agreement. The landlord must return the security deposit within 30 days of the end of a lease. Create a free Nevada Lease Agreement in minutes with our professional document builder.